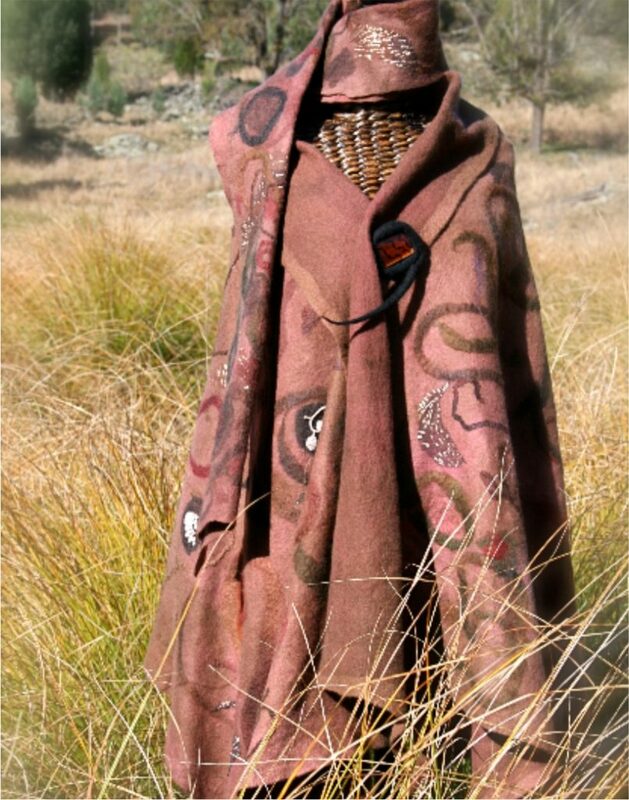 A magical amalgamation of natural fibre began an inspiring journey into the world of wearable art. For me, creating my designs is like painting with fleece. I love to blend colours and textures to create gorgeous pieces that lift the spirit and make a personal statement for the wearer. With a background in fashion and a passion for colour, texture and design it was a natural progression for me to create wearable art. Mother Nature, in particular flowers, provides a never-ending source of inspiration for my designs, as do the stunning vistas here in Australia. The seasonal beauty of the Australian landscape never ceases to inspire my creativity. These seasonal changes are reflected in my designs in the colour, weight and style of each garment. Many years in the fashion industry taught me that women desire natural fibres against their skin. As recent years have seen an increase in the use of synthetics, I for one, am happy to support a move back to natural fibres. Australian Merino is soft, light and warm. Lovely to wear, it’s like being wrapped in a cloud! My designs are all original, handcrafted pieces that combine Australian Merino with silk using traditional nuno felting techniques. Embellishments are also of natural fibres including mohair, alpaca and cotton as well as beading in stone, timber, shell and seed. 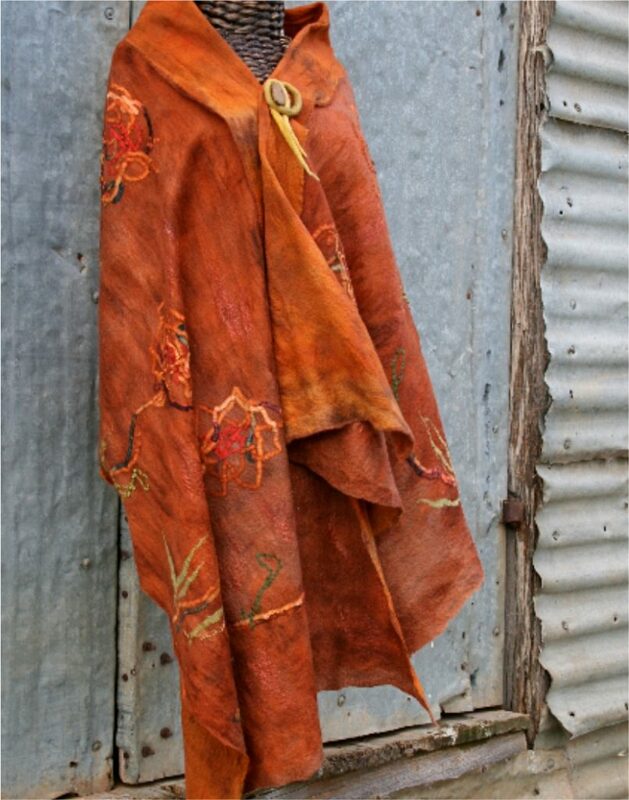 I hand dye all my fleece and silk making each piece completely unique. This process requires patience and cannot be rushed. Although labour intensive, I love the evolution of each piece from start to finish. Each garment remains a mystery until the end of the felting process when its own distinctive individuality is revealed. My designs are sold through galleries, selected stores and on line via my website. To date, pieces have been sold to customers all over Australia as well as overseas in France, Canada, Japan and the USA and I am always thrilled to know my designs are being worn across the globe!